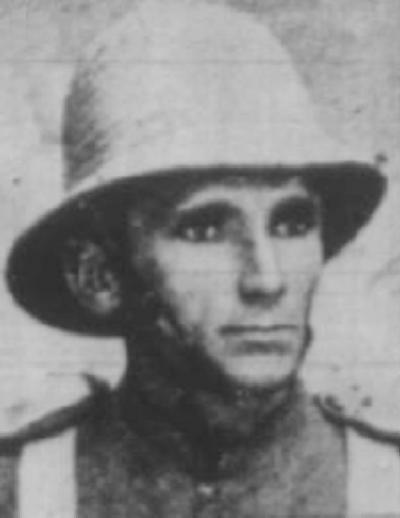 Frederick William MARKS was born in 1865 and was a drover by trade giving his address as Bowen, Queensland at the time of enlisting in the NSW Citizens' Bushmen Contingent. Marks was enlisted as 29 Trooper Frederick William MARKS and allotted to "A" Squadron. He was listed in Murray, p. 77. When Marks arrived at Cape Town with the Atlantian, he was discharged from the NSW Citizens' Bushmen Contingent on 1 April 1900. The reason for his early discharge in South Africa is unknown although there were complaints from officers that some men enlisted specifically for the free trip to South Africa. There is no record of his reasons for discharge. Field Court Martial records do not indicate that he was dishonourably discharged. Once Marks reached Cape Town in South Africa and was discharged, all available records about him appear to cease.